Behavioral inhibition (BI) is a temperament characterized by social reticence and withdrawal from unfamiliar or novel contexts and conveys risk for social anxiety disorder. Developmental outcomes associated with this temperament can be influenced by children’s caregiving context. The convergence of a child’s temperamental disposition and rearing environment is ultimately expressed at both the behavioral and neural levels in emotional and cognitive response patterns to social challenges. 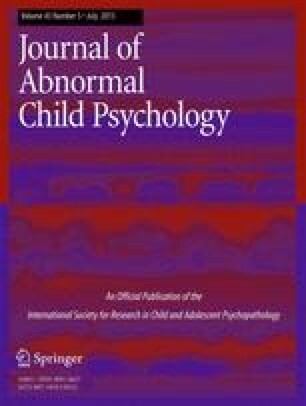 The present study used functional neuroimaging to assess the moderating effects of different parenting styles on neural response to peer rejection in two groups of adolescents characterized by their early childhood temperament (M age = 17.89 years, N = 39, 17 males, 22 females; 18 with BI; 21 without BI). The moderating effects of authoritarian and authoritative parenting styles were examined in three brain regions linked with social anxiety: ventrolateral prefrontal cortex (vlPFC), striatum, and amygdala. In youth characterized with BI in childhood, but not in those without BI, diminished responses to peer rejection in vlPFC were associated with higher levels of authoritarian parenting. In contrast, all youth showed decreased caudate response to peer rejection at higher levels of authoritative parenting. These findings indicate that BI in early life relates to greater neurobiological sensitivity to variance in parenting styles, particularly harsh parenting, in late adolescence. These results are discussed in relation to biopsychosocial models of development. This research was supported by the Intramural Research Program of the National Institute of Mental Health (NIMH), an NIMH Seymour S. Kety Memorial Award (AEG), and NIMH grants MH080076 (AEG) and MH074454 (NAF). The authors thank all of the families who participated in the study.